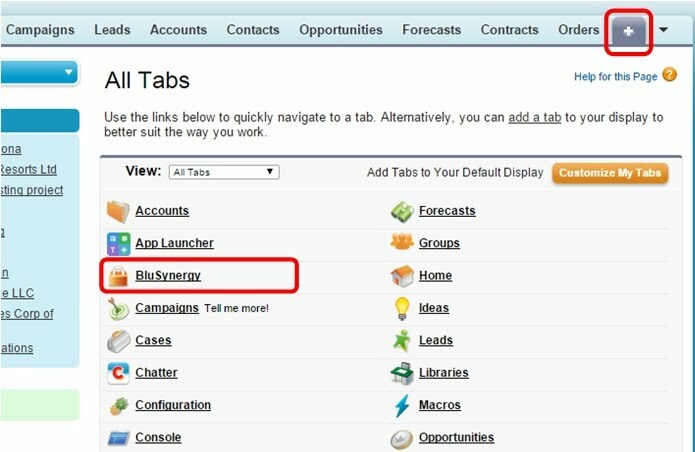 Step 1: Go to [Setup >> Manage Apps >> Connected Apps] and click on the BluSynergy app from the list. Step 2: Verify that the circled permissions are there. If not, you may click edit and change them. 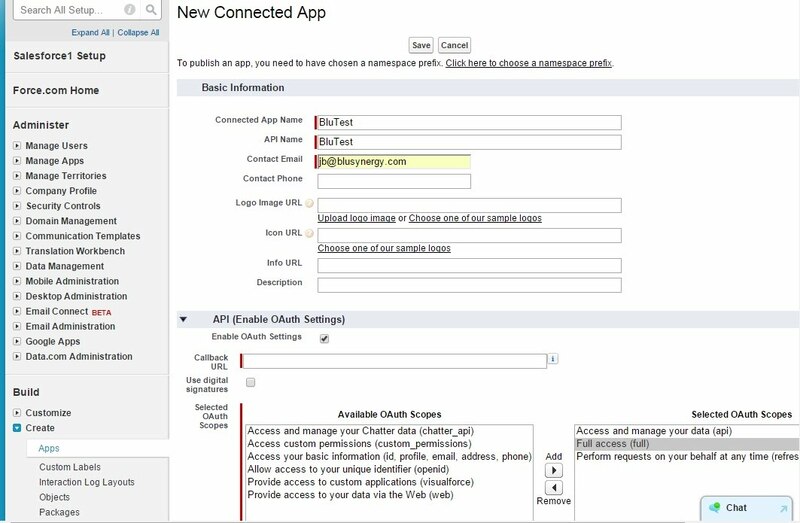 Step 3: If the settings are correct and you are still experiencing errors, then you can either change the OAuth Consumer Key and Secret Key for the user or simply create a new Connected App. 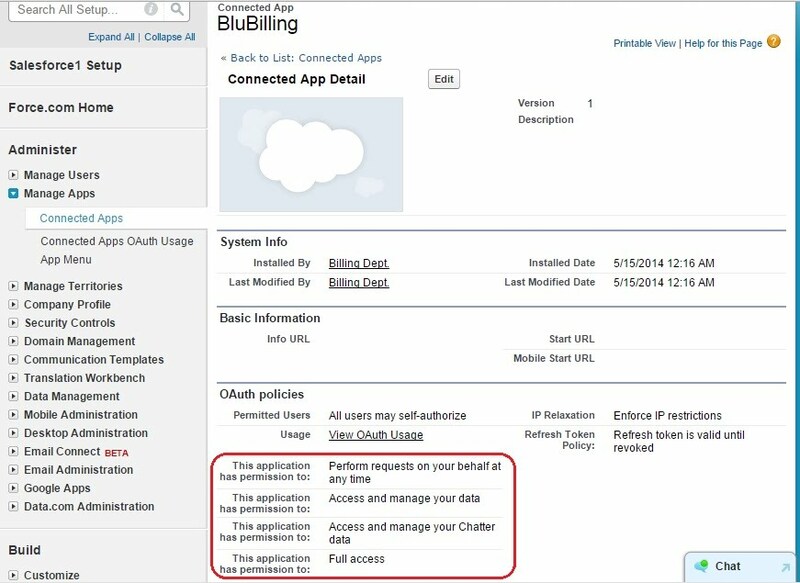 The following steps show you the process of configuring a new “Connected App” in Salesforce, and then using this new Connected App for BluSynergy access. Back on the previous screen, click on the “New” button. 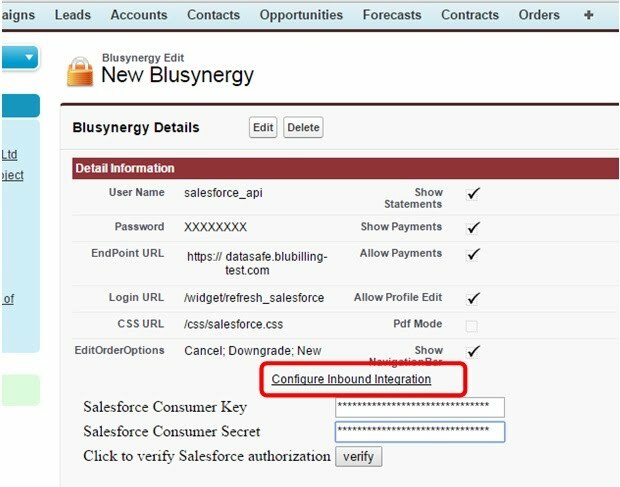 You must perform this action while logged into Salesforce as the user under whose security context you want the BluSynergy API to operate. Step 4: Copy all the values from the previous setting (it is easier if you open the existing settings in a new browser window so that you can cut and paste the values) . 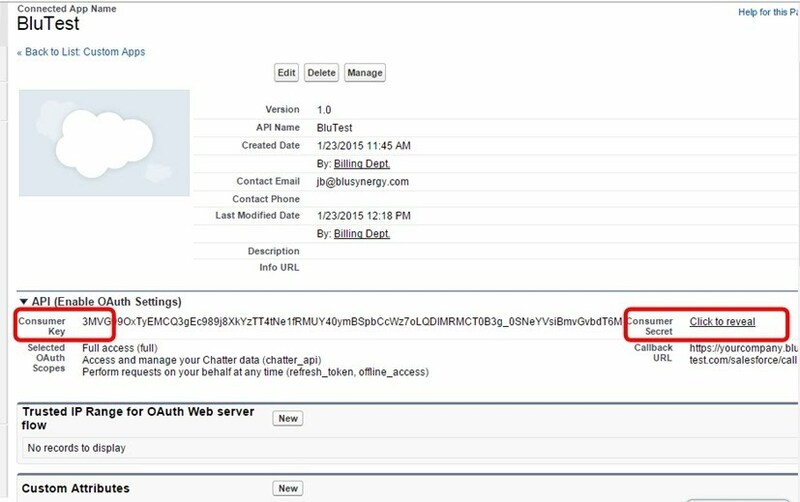 The purpose behind this step is enable creation of a new OAuth Consumer Key and Consumer Secret under the security context of the currently logged on user. Step 6: Now click the “+” tab on the top row, and then the “BluSynergy” app. Step 7: Now, click on the “Configure Inbound Integration” link, and then enter in the new values for the Consumer Key and Consumer Secret from step 5. Click the Verify key and ensure that you get a positive confirmation message. 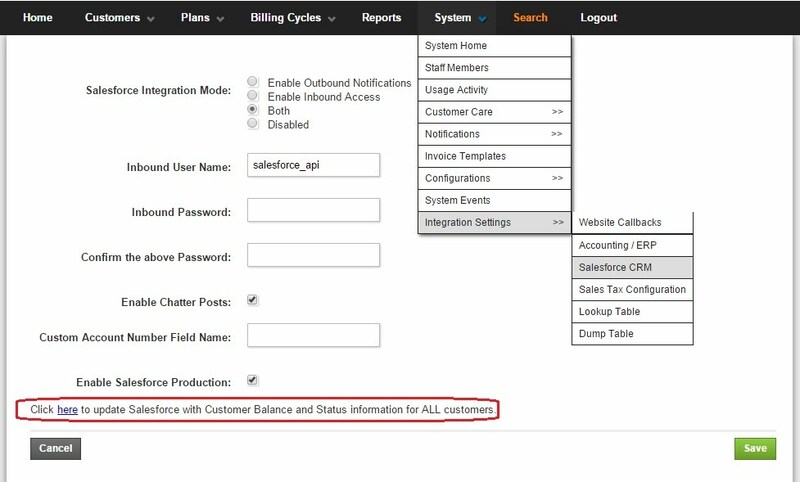 Step 8: Once you have completed this, you can log into your BluSynergy application as an Administrator, navigate to the [System >> Integration Settings >> Salesforce CRM] screen and click on the link at the bottom that says “Click here to update Salesforce with Customer Balance and Status information for ALL customers”. This operation will take a while to complete.